Our self-adhesive vinyl lettering works great on airplanes, gliders, helicopters, radio controlled aircraft and is also excellent for drone registration. It comes pre-spaced and is easy to install. 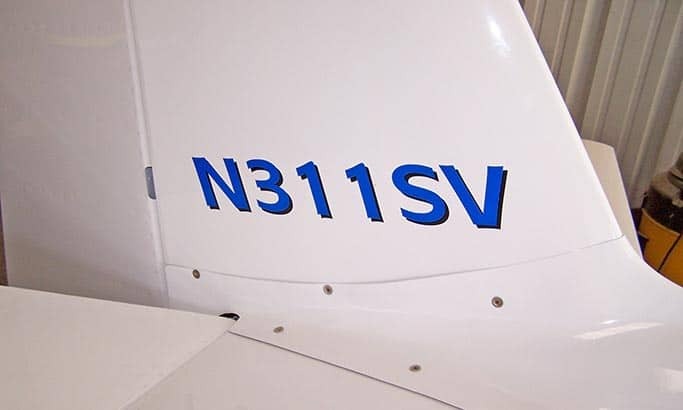 Three ways to order aircraft vinyl lettering. Which vinyl type should I select for aircraft lettering? Premium 3M Vinyl is the thinnest (and best) vinyl that we sell and is recommended for lettering on airplanes and other aircraft. The Standard Calendared Vinyl works great for hobby projects but is a little thicker (about 3 mils vs about 2 mils for the Premium). 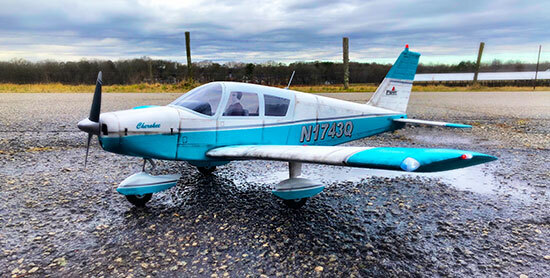 Vinyl Lettering Use: Customizing an Experimental Airplane. Vinyl Lettering Use: Paraglider Ultralight EAA identification. Vinyl Lettering Use: Lettering was used for the "N" number on my plane I built.